On June 2nd, 2018 the National Cartoonists Society presented Mike with the "Newspaper Comic Strip" award for excellence. Dayton is celebrating 50 years of Mike Peters cartoons at the Dayton Daily News. The retrospective begins April 2nd at the new downtown Dayton Library and continues until May 15th. It will include editorials and Mother Goose & Grimm strips. On July 7th, 2017 FIRE presented a special screening of "Can We Take a Joke?" at the Aspen Meadows Resort. There was a reception dinner that took place immediately after the screening that included a discussion and Q&A with FIRE President and CEO Greg Lukianoff; FIRE's Chief Research Officer and Director of the Aspen Center for Human Development, Pamela Paresky; comedian Karith Foster (featured in "Can We Take a Joke? ); and award-winning "Mother Goose & Grimm" cartoonist Mike Peters. "What a Hoot! A Mike Peters Retrospective"
Click HERE for more information and schedule of events. Photo of Mike Peters with Joe Scarborough and Mika Brzezinsk at the 2016 Republican National Convention in Cleveland. 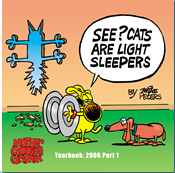 Click HERE to watch the video of Mike Peters showing off political cartoons at the convention. 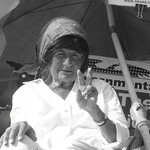 Conception Picciotto occupied a peace vigil encampment behind the White House for more than 30 years. Concidered the longest political protest in American history. Mike would bring her a pizza every time he visited D.C. You will be missed. Watch Mike interview the late Pulitzer Prize winning editorial cartoonist Tony Auth on the World of Cartooning PART ONE | PART TWO. Award winning cartoonists will headline the first annual Guardian Ball at the Boise Centre, benefitting severely wounded, injured and ill veterans in the Wyakin Warrior Foundation. A black tie gala will be held on December 1, 2012 to benefit severely wounded and injured veterans attending classes at Boise State University and College of Western Idaho as members of the Wyakin Warrior Foundation. The event will feature remarks by Governor Otter, introduction of the wounded and injured veterans in the Wyakin Warrior Foundation, full dinner, live music and a live auction. Cartoonists will provide original art, name placement in nationally syndicated cartoons, caricatures, and a multimedia presentation. Tables with the Wyakin Warriors and cartoonists are available. Tickets are on sale now (www.wyakin.org). Thomas Nast /Overseas Press Club Award winner is Mike Peters! Congratulations to Mike for winning the Overseas Press Club/Thomas Nast Award for his editorial body of work in 2010. Read an article in the Dayton Daily News HERE and also see his page on the OPC website HERE. Mike Peters has been awarded the National Headliner Award for Editorial Cartooning for his body of work during 2010. Congratulations! Go here for more winners. Welcome to the new website. We will be continuing to tweak the new design so there may be bumps here and there but they will be fixed. We have tried to add new features and are going to expand the archives in the coming weeks. Check back here often for News and Updates. Happy New Year! © 1995-2019 Grimmy, Inc. All Rights Reserved. Distributed by King Features Syndicate, Inc. I thought you might like this Grimmy Cartoon.